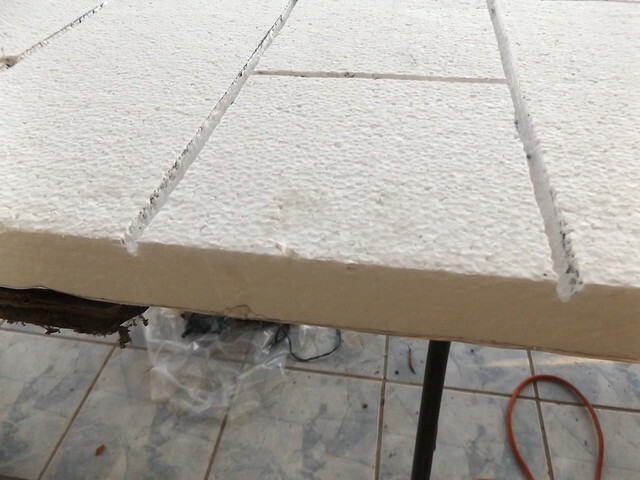 This is a super simple way to turn the 8'x4' sheets of polystyrene foam insulation into a stone wall. First, I peeled the clear plastic film off one side of the foam. The other side has foil on it. I left that alone. I then laid out my sheet and marked out the bricks. I choose to go with 12" wide x 6" high bricks. 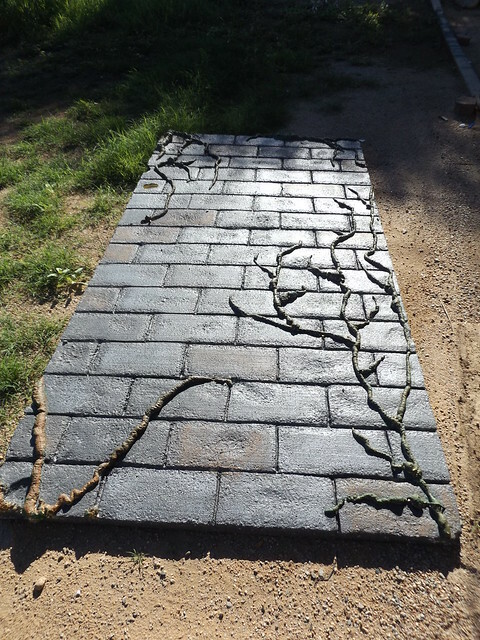 You could go with smaller bricks or go for a more random rock wall look. Those are slower and I wanted to get this done relatively quickly. 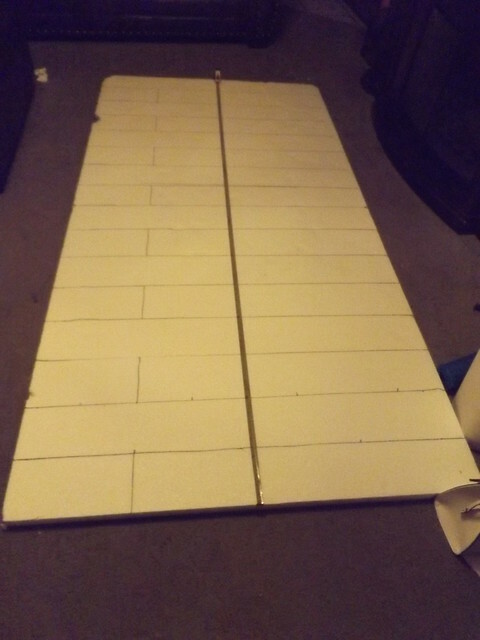 Then I took my $20 Harbor Freight hot knife and scored the foam along the lines drawn. Poweraid optional. 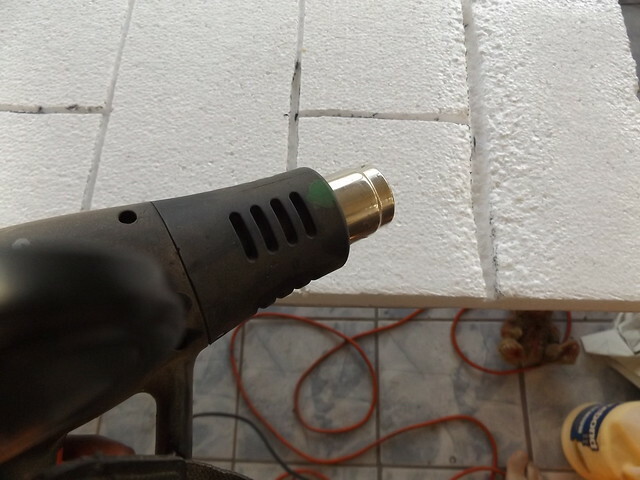 Then I took my Harbor Freight Heat Gun (also about $20 on sale) and hit the foam to give it a more rock like texture. Zombified Teddy bear optional. I wanted vines on mine, so I put them on now. Wal-Mart had a GE brand spray foam that was cheaper than Great Stuff, so I tried that. The foam did fine for the vines. However, I noticed that when I cleaned out the uncured foam, the propellant was still leaking out of the can. By morning, the can was still full of foam but no propellant. Not sure if I just got a bad can. Next was painting the base coat. 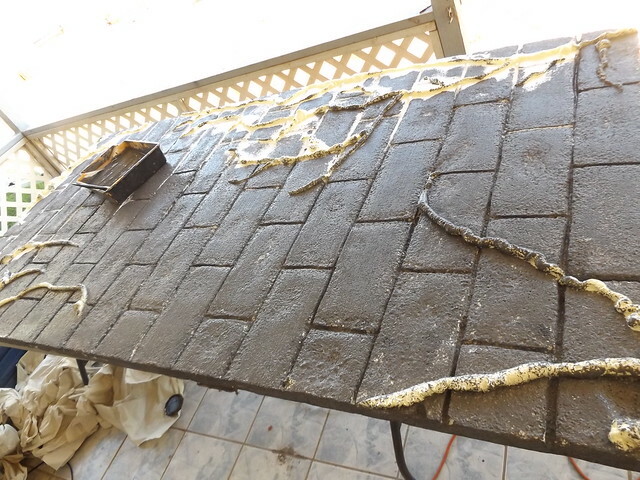 Even after heat sealing the foam with a heat gun, spray paint tends to eat through, so I recommend latex paint. Flat black would have been best, but I had dark gray, so I went with that. Notice it did not much like sticking to the foam vines. Oh, well. I guess I forgot to photograph the rest of the painting. 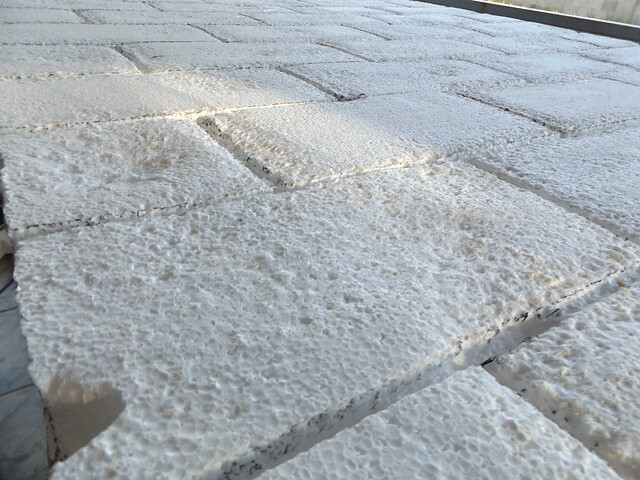 I dry brushed some of the bricks with a light gray more or less at random. Then I did a few of them over again, so there are a couple different "shades of gray" in there for you. I also hit a few with a brown dry brush. 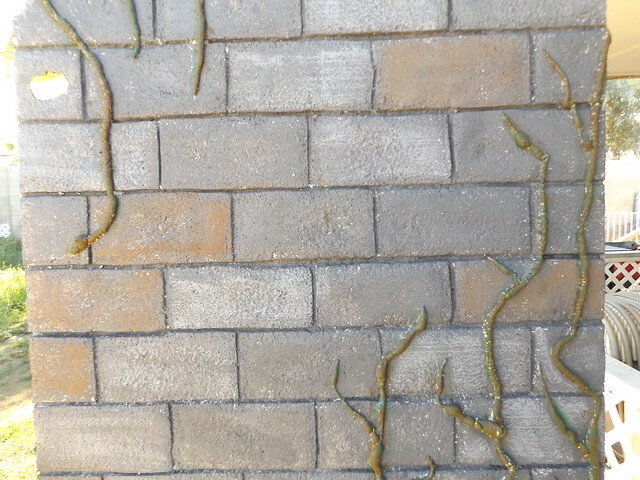 I painted the vines with gray, and brown, and green, and did a wash with a brown/green mixture to try to get into the cracks. In some places the white shows through on the stone and on the vines, but considering what they are supposed to be, I'm fine with that. There you have it. 2-3 hours invested, I suppose, not counting drying time. The foam itself was pretty close to $20. If you have to buy the paint, look through the "oops" paint at Lowe's or Home Depot. I am going to make it into a photo op for Thrill Halloween. This is great! 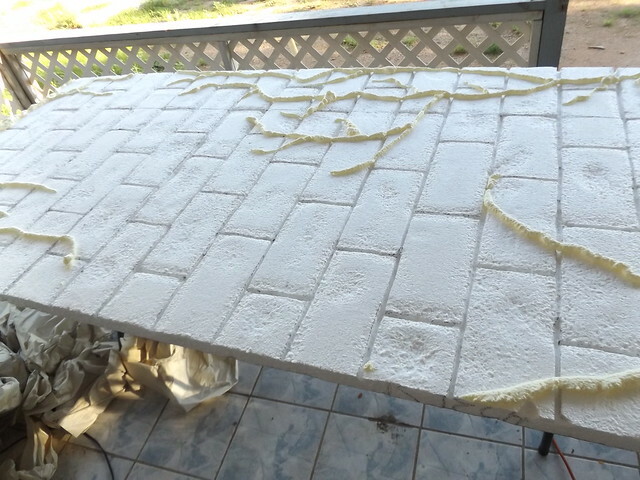 I really like the spray foam to make the vines! 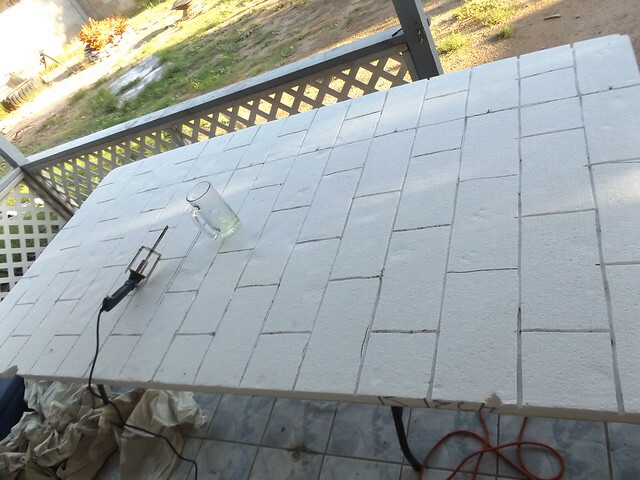 I've made some stone walls by using spray paint to "sculpt" random rock shapes for a wall. 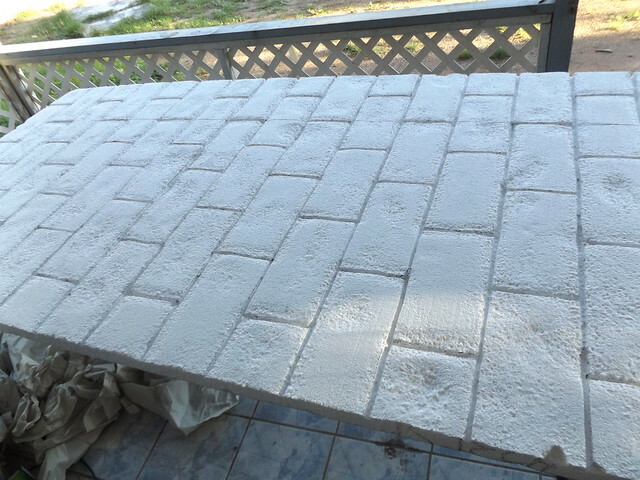 The acetone eats away the foam making some great stone shapes, then just finish painting as you like.